Gijsberg Leytens was born in Antwerp in the year 1586. He joined the Guild of Saint Luke as a master in 1611. He set up his own workshop and specialised in winter landscapes. 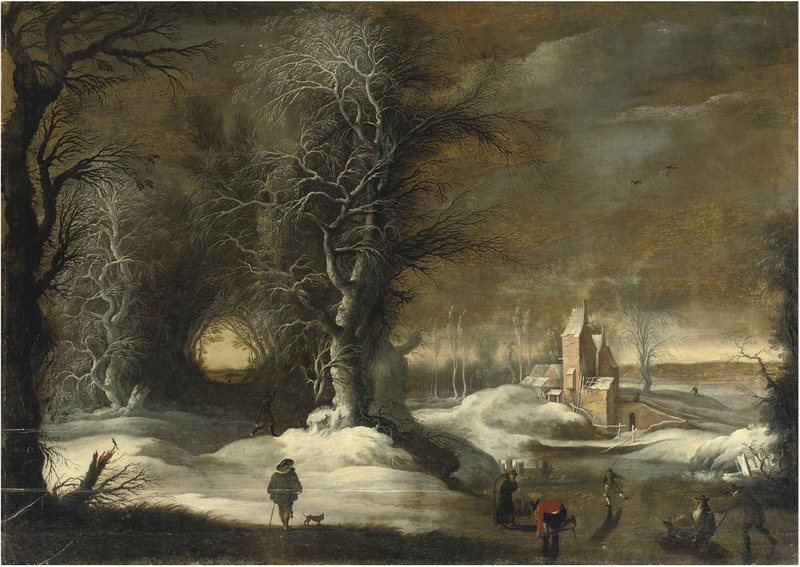 As he signed most of his work only with an ‘A’, they were initially attributed to an unknown ‘Master of the Winter Landscapes’. Only in 1988, Ursula Härtung confirmed, based on a fully signed work, that Leytens was this unknown master. 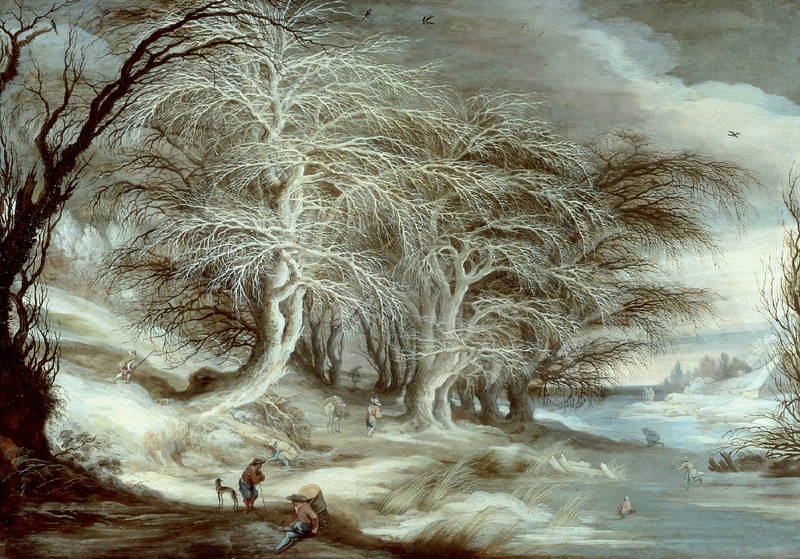 The last quarter of the 16th century was the coldest in the little ice age; a period in which average temperatures dropped and caused longer and colder winters in Western Europe. 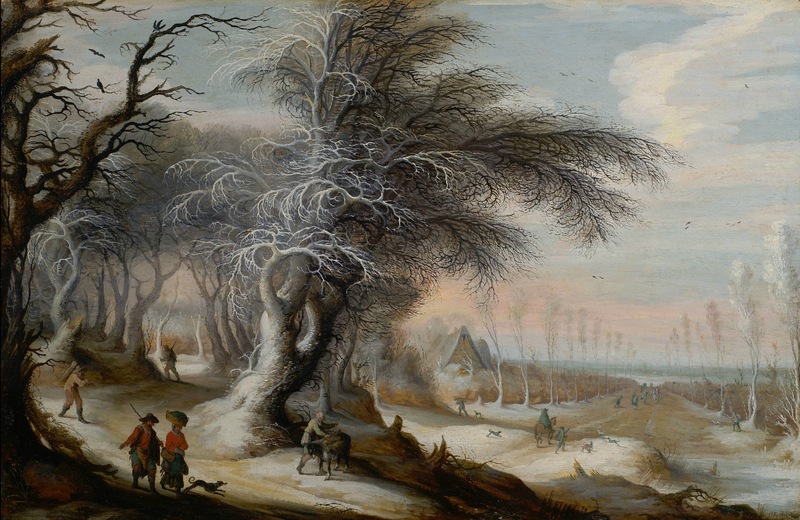 The long and cold winters remained during the first quarter of the 17 century, after which they were more frequently interrupted by warmer winters. 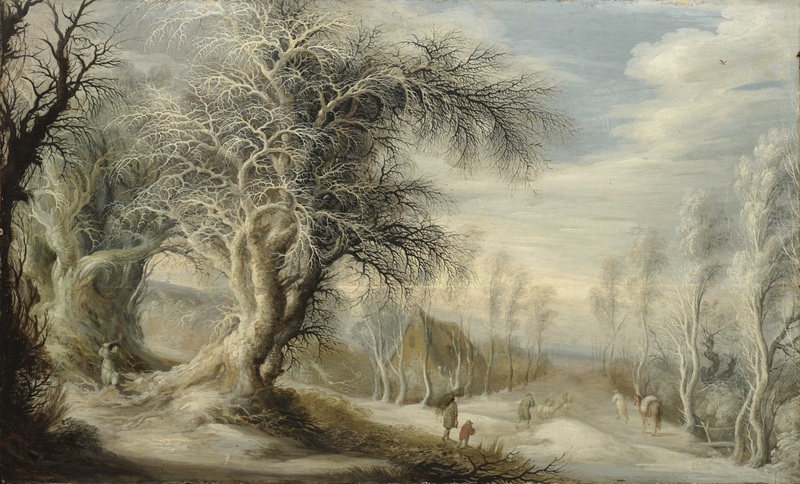 Naturally, painters used it as a source of inspiration for their work, making this the period in which most of the famous Dutch and Flemish winter and skating paintings were produced. Some, like Leytens even specialised in them. Although he usually added people to his landscapes; woodcutters, hunters, farmers or just people walking around, the trees seem to be his primary subject. And they have something magical and unrealistic; too big, too many branches, too curvy, reaching out to something.